My last newsletter was all about the new, high tech septic tanks that are now required by Maryland law. In this newsletter I will discuss the costs associated with the new tanks, and some other improvements that will help reduce the overabundance of Nitrogen pollution flowing into the Chesapeake Bay. The simplest and least expensive tank I have found is made by Norweco. This tank is comprised of three chambers. The first chamber, where the waste water first enters the tank, is called the pretreatment chamber, where the solids in the waste water settle and anaerobic bacteria (non oxygen requiring) begin the process of breaking down the waste. The next chamber is the aeration chamber, which has a vent connected to the outside air. There is a motor driven agitator in this chamber that spins around and oxygenates the somewhat clarified waste water from the first chamber, which encourages aerobic bacteria (oxygen requiring) to breakdown the reactive nitrogen into nitrogen gas which is vented to the outside. 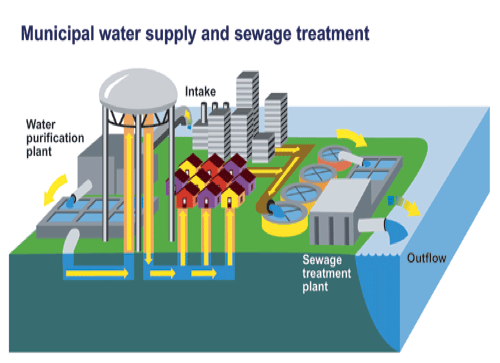 From here, the wastewater enters the third and last chamber where it passes through a filter which removes most of the remaining suspended particles in the waste water, resulting in fairly clear waste water discharged into the gravel drain field connected to the septic tank outlet pipe. The additional cost for the tank is about $10,000, which includes the cost for a buried electric line, to power the agitator motor, that must be run from the septic tank to the electric control panel attached to the outside of the house. This panel is connected to the electrical system in the house. Inside the control panel is a timer that controls when the aeration agitator cycles on and off. The control panel is also connected to sensors in the aeration and filter chambers of the tank that detect high water in the tank, which indicates that the waste water is not being properly treated. These sensors set off a flashing red light and an audible alarm on the control panel to alert the owner that maintenance is required. Speaking of maintenance, these septic tanks require yearly maintenance to check all the working parts and to change the filter in the filtration chamber. This is in addition to the typical pumping out of the septic tank every 2-3 years. The county environmental health department requires that the owner have a yearly maintenance contract with a qualified septic maintenance contractor. The first five years of maintenance are covered under the initial cost to install the tank. After that, the yearly maintenance cost is about $300-$400 per year. For those enterprising owners who don’t mind getting their hands dirty, there is a training course available that will qualify the owner to do their own tank maintenance. I suspect these courses will not be well attended by owners. In addition to the yearly maintenance expense, the electric motor that drives the agitator uses about $300 of electricity each year. So, there you have it, everything you ever wanted to know about septic tanks, but were afraid to ask, and are probably glad you didn’t. As I mentioned in my last newsletter, septic tanks only contribute about 4% of the total nitrogen pollution. Fertilizer used for crop farming is a major contributor to nitrogen pollution; however, things are improving here. Farming has also become high tech, which is resulting in more efficient use of fertilizer. Although I am sure that farmers are concerned about the environment, it doesn’t hurt that the new farm technology is saving money. Here is how it works. 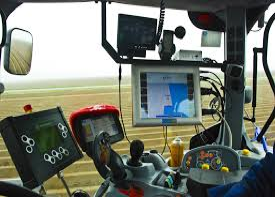 The farm tractor is equipped with a computerized yield monitor that maps the crop fields for location and type of soils using satellite GPS. As the crop is harvested, the yield monitor tracks the crop yield and moisture content of the soil per acre. 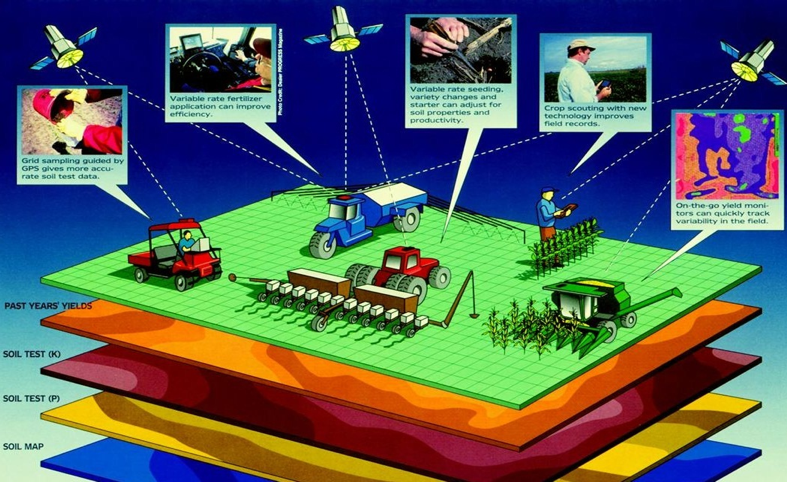 This information, along with the type of crop to be planted, is fed into a computer that is on board the farm tractor. The following planting season, the on board computer regulates how much fertilizer and seed is dispensed over the field based on the previous year’s yield and the type of soil, some soils needing more or less fertilizer. The computer also drives the tractor in a precise grid for minimal overlap of fertilizer application. The driver in the tractor cab is there to intervene if there is a mechanic problem, computer glitch or some obstacle to steer around. I was truly amazed when I learned about this computerized farming technology. Farmers are also planting cover crops in the Fall to help absorb excess nitrogen in the soil, and reduce erosion. Trees and shrubs are being planted along streams and waterways to act as a buffer to absorb pollutants before they reach the water. In pastures, the wetland areas are also being fenced to keep livestock out of the streams. 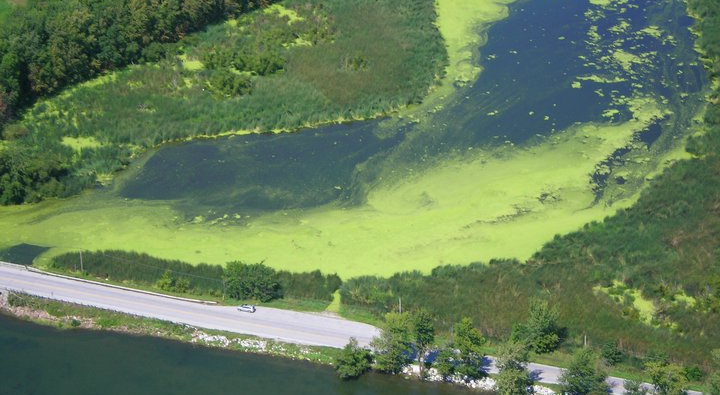 The next largest polluter is the public utility sewage treatment plants. 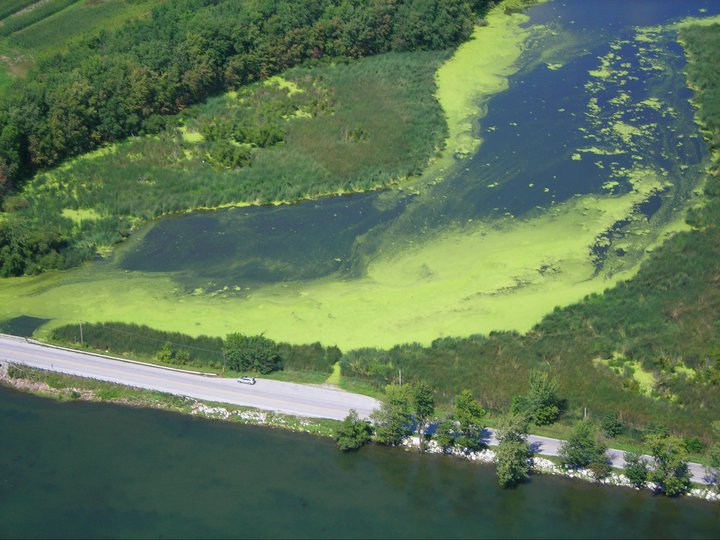 Nitrogen reducing technology for sewage plants has been around since the 1980’s, however, in Maryland, out of 65 treatment plants, only 14 have the updated technology to substantially reduce nitrogen pollution. Much improvement is needed here, and hopefully the state government will use the money they are collecting from the $60 per household flush tax, for its intended purpose, to begin updating sewage treatment plants. We as individuals can also do our part by eliminating or reducing lawn fertilizer. Conserving energy will reduce electricity demands on power plants which will reduce nitrous oxide power plant emissions. Thoughtful planning around the use of our cars can reduce the number of miles we drive resulting in less nitrous oxide air pollution. What goes up must come down, and air pollution also contributes to water pollution. Although our individual efforts can seem inconsequential, when you multiply the positive effect by millions of people, now we’re talking some big change. And all the while we will be spending less money for electricity and gasoline. Sounds like a win/win to me! !